The KL Italia Chase Figure 8 bridle is designed for comfort, with thoughtful attention to details. The Chase has a soft padded, ergonomic uni-crown headstall providing poll relief, a 7/8” padded round raised browband, and ½” Cheek pieces. The flat figure 8 noseband has a soft padded leather center and features leather tabs behind the side rings to help prevent pinching & chafing. Comes complete with web lined 5/8” Rubber Reins, which offer the benefit of a traditional Rubber Rein without the thickness & stiffness. 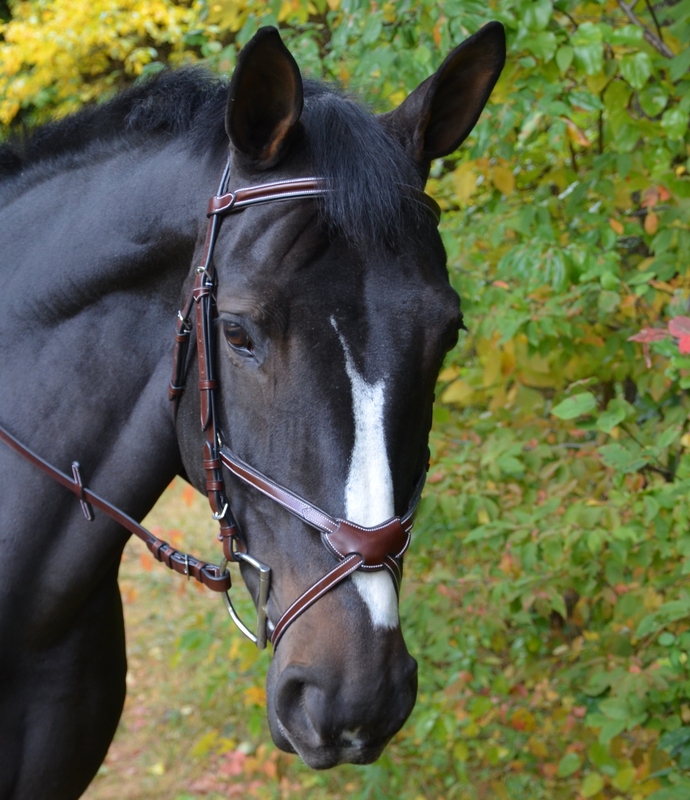 This bridle is made of the best Italian leather. All hardware is stainless steel buckle end.